Chief Press Secretary to the INEC Chairman, Mr Rotimi Oyekanmi, told Vanguard, Wednesday night, that the commission is not a political party, explaining that the fate of APC in Zamfara and Rivers states were as a result of judicial pronouncements. “It is not true that the Independent National Electoral Commission is working hand in gloves with any political party to do the wrong things. The issue of Zamfara and Rivers are well known. “In the case of Zamfara, the Commission had written to the APC leadership to notify it that, due to its inability to conduct its primaries in Zamfara State within the stipulated time as required by law, the party cannot field candidates for the governorship election. Thereafter, two cases were instituted in court resulting in two rulings which were delivered the same day. The Commission then adopted one of the rulings. “In the case of Rivers, it was the Supreme Court that took a final decision on the fate of APC. Therefore, both cases were purely judicial and INEC, being a law abiding institution, will always obey court orders/judgment. “The Commission is not a political party and does not have a candidate for the forthcoming general elections. Our duty is to provide a level-playing field for all registered political parties and ensure that elections are conducted in a free, fair and transparent manner,” Oyekanmi stated. APC had accused two Resident Electoral Commissioners, RECs, of INEC of campaigning side by side with the PDP in the South-south, saying the Commission is grossly unfair to her. National Chairman of the APC, Comrade Adams Oshiomhole stated this, Wednesday, in Abuja while speaking with journalists. According to him, “If there is anything, this INEC has been very, very unfair to APC. But we just discovered that we have a moral responsibility, the fact that we are a governing party gives us a certain level of oath that we cannot afford to want to be seen to rubbish the situation because, if we rubbish everything, it will then be seen as we do not want to have the elections. “As we speak, there are two RECs that are virtually campaigning side by side with PDP. INEC, without giving us any concrete explanation or giving concrete evidence went ahead to say that we cannot conduct election in Zamfara, we cannot field candidates in Zamfara state, thereby seeking to award without any contest, nullify democracy in Zamfara state. Is that the way your friends behave if they were our friends? “INEC is working more for PDP based on evidence I can show. 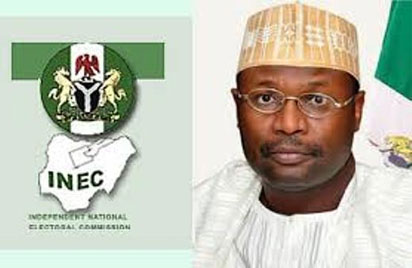 “There is no order issued by the Abuja high court given to INEC. But there is a concrete existing order by a Zamfara high court which upheld the primaries that were conducted in Zamfara. The INEC chairman had said that if there were two judgements, they will adopt the last judgement. The Abuja judgement came first, the Zamfara judgement came last even though it was the same day. “As much as INEC said they will abide by the last court order, when it came to Zamfara, they changed the goal post. We have been at the receiving end of abuse. There is a candidate in Kano whose nomination we forwarded to INEC, INEC changed the nomination and as we speak, we are in court and we showed our evidence”, he alleged. Vanguard recalls that INEC had said where there are two conflicting orders from courts of coordinate jurisdiction, that it would maintain the status quo. On his part, INEC’s Director of Publicity and Voter Education, Oluwole Osaze-Uzi challenged the APC to furnish the Commission with evidences of bias against the RECs. He said the commission was preparing for Saturday’s elections and would not allow itself to be distracted. “We will not join issues with anyone but we have been accused by the PDP too.